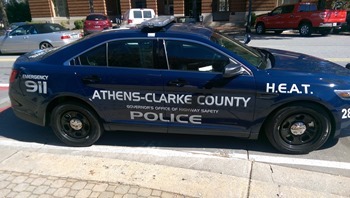 A Savannah native and his girlfriend were pulled over in Downtown Athens by a female DUI task force officer on their H.E.A.T. unit, with the Athens-Clarke County Police Department. The basis of the pullover was a missing or defective headlight. No other evidence of alleged bad or impaired driving was observed. The Client, who had a prior arrest for DUI in Georgia (and a conviction in Savannah, Georgia), foolishly attempted to perform the field sobriety tests. His first DUI attorney had failed to advise him to NEVER attempt and field tests. Because he was young, thin and had very little to drink, he performed reasonably well, but was still arrested for an Athens DUI. From the moment the Client admitted to the Task Force Officer to having beer earlier in the evening, he was going to jail for driving under the influence of alcohol. The standardized field sobriety tests are not scientific, like a scholastic aptitude test (SAT) or IQ test, and should NEVER be attempted. The roadside evaluations have only been correlated to alcohol consumption, and not any other impairing substance, and yet courts in Georgia routinely allow the police officer to state that other drugs can cause one or the other symptoms found in the three standardized field sobriety tests. This incompetent testimony is difficult to keep out of the case, so yet another great reason to POLITELY decline every field sobriety test. Upon being arrested for DUI, and read the Georgia implied consent law, the client refused to submit to the breathalyzer test. This would have been given at the Athens-Clarke County Detention Center in Athens. The arresting officer did not seek to obtain a judicial warrant to collect Client’s blood, and merely booked him into the Athens jail. This meant the case was based (primarily) on the field sobriety test performance. An attorney who practiced personal injury law in Atlanta was related to the accused. They were brothers-in-law. So, our Client’s brother-in-law contacted Athens DUI lawyer Bubba Head, the state’s best-known defender of accused Georgia DUI drivers. Mr. Head wrote the first book, ever, on how to beat a DUI. That book, “101 Ways to Avoid a Drunk Driving Conviction,” was written in 1991. It was the first of more than 1 dozen books co-authored or authored by Mr. Head. Both Mr. Kohn and Mr. Yager became published, national legal book authors for chapter of two separate drunk driving books, in 2016. For almost 15 years after graduating from UGA law school, Bubba was a DUI attorney in Athens GA, before relocating his main DUI law firm office to Atlanta, in January of 1991, so he was still familiar with all the “players” in Athens. Reports about his new drunk driving book, on beating a DUI, was a huge news story in Atlanta, when he moved to Georgia’s capitol city. 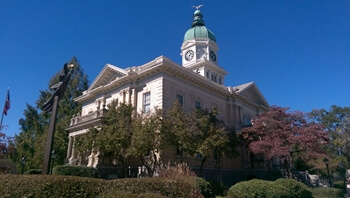 The Athens-Clarke County Prosecutor’s office offered the Client a reduced jail term if he entered their DUI Court program. If he opted for trial, and was convicted, the State would ask for significant jail time. Because the client was not an Athens-Clarke County resident, and traveled for his business, and could not be in the community for the 18 to 24-month intensive probation oversight of a DUI Court, with regularly-scheduled urine tests mandated by the Athens DUI Court program, he opted to go to trial for the DUI in Athens GA.
At trial in Athens-Clarke County State Court, DUI Lawyer Bubba Head called upon witnesses who had been with him at the bar (where music was being played by some of the Client’s friends). These witnesses verified how little beer the Client consumed. One of the witnesses was the father of a band member, and a highly-credible business owner. The Defendant did not testify at his trial. The DUI trial spanned two full days. The 6-person jury in Athens GA ultimately was unable to unanimously agree on a verdict for the DUI, and a mistrial was granted. After being dismissed from their jury service, the jurors were questioned by the attorneys, and it was clear that the vote was 5 to 1, for acquittal. Once the prosecutor heard that, an immediate offer to have the DUI reduced to reckless driving GA was made. 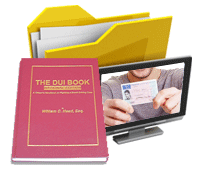 The DUI charge was reduced to reckless driving in GA thereby saving the Client’s driving privileges and avoiding jail time. More significantly, the many harsh DUI GA consequences (e.g., 240 hours of community service) from a second offense DUI within 10 years were avoided, thanks to the efforts of drunk driving lawyer William Head. The most common reduction of charges obtained by our criminal defense attorney office is to Georgia reckless driving. Call longtime Athens DUI lawyer Bubba Head anytime 7 days a week, and get a FREE professional case evaluation. 404-567-5515. 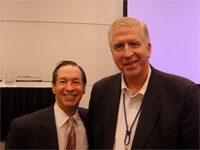 Mr. Head and his law partners Larry Kohn and Cory Yager have won Georgia DUI cases all over the State of Georgia. 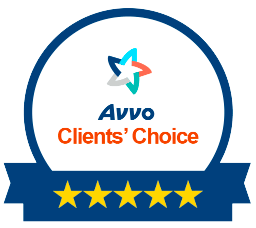 Every one of our DUI law firm’s Georgia drunk driving attorneys are Super Lawyers for 2017. 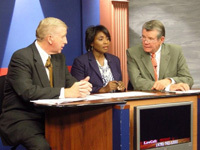 DUI specialist William C. Head is the State’s most widely-recognized legal expert on Georgia traffic laws, after 41 years as a criminal defense attorney for misdemeanor and felony charges pending in Georgia, including violations of Georgia traffic laws. He is also Board Certified in DUI Defense by the National College for DUI Defense, which is a designation held by fewer than 70 DUI attorneys in America.